A month ago, Cleveland’s HealthLine celebrated its 10th anniversary, and there is certainly plenty to celebrate. As one of the nation’s first examples of bus rapid transit (BRT), the HealthLine has spurred about $9.5 billion in investment over the last decade up and down the corridor where it runs. This year’s event is an interactive opportunity for members of the real estate industry to learn more about the future of walkable, triple bottom line development and to connect with like-minded professionals working on these types of projects and advocating for better public policy across the country. Don’t miss your chance to attend. Thank you to everyone who joined LOCUS for a live discussion of Transit-Oriented Development Opportunities in Albuquerque on Thursday, October 19, 2017. In case you missed the live event, you can read the event summary and watch the recorded version here. The 2017 LOCUS Leadership Summit: P3 is for Partnerships, Placemaking, and Policy is taking place on April 24 and 25, 2017 at the National Press Club in Washington DC. The land near transit stations is a valuable commodity. 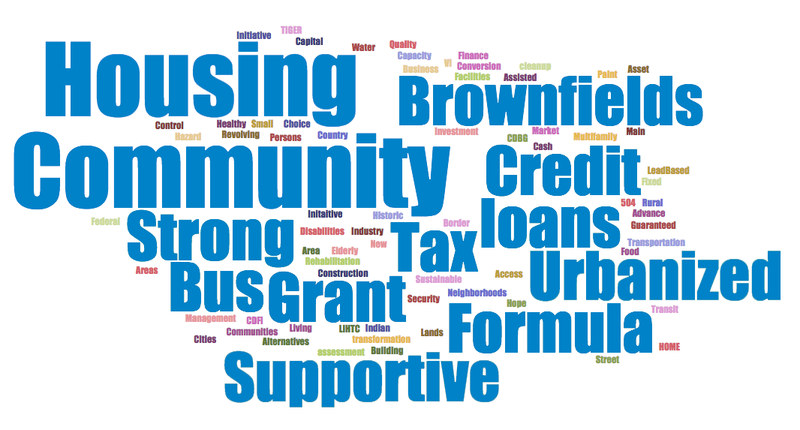 Hundreds or thousands of people travel to and through these places each day, and decisions about what to do with this land have implications for local economies, transit ridership, residents’ access to opportunity, and overall quality of life for everyone in a community. Many communities choose to dedicate at least some of that land for parking. The question is, how much? Standard engineering guidelines are designed for mostly isolated suburban land uses—not walkable, urban places served by transit. But few alternative guidelines for engineers exist. 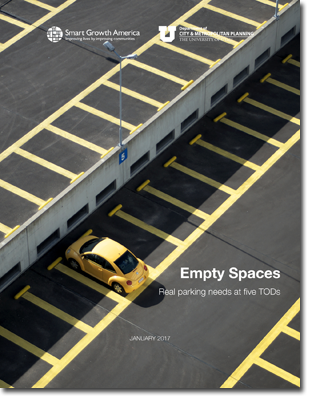 Empty Spaces: Real parking needs at five TODs, released today, set out to determine how much less parking is required at transit-oriented developments (TODs) and how many fewer vehicle trips are generated than standard industry estimates. Many communities choose to dedicate at least some of the land near transit stations for parking. The question is, how much?